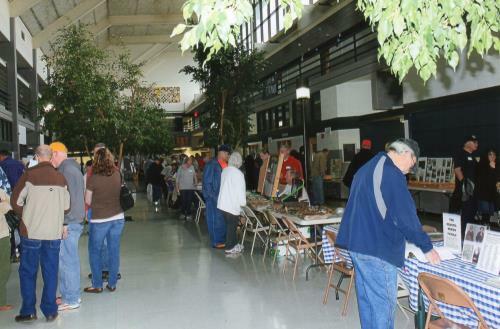 The 4th annual Soddy Daisy Montlake Historical Association History Fair will be held Saturday from 9 a.m.-4 p.m. at Soddy Daisy High School on Sequoyah Road. he main area will feature nearly 70 tables devoted to local history. Many Soddy, Daisy, Flattop Mountain, Mowbray and Montlake historical items will be on display. Officials said, "If you have anything of interest concerning local history we hope you will share it with the community by bringing it by to let a SDMHA officer photograph and get the history of the relic or artifact. Think of it like an 'Antiques Roadshow' opportunity and bring by anything you have a question about since many experts will be in attendance to answer questions. "Admissions along with funds collected for drawings and book sales support SDMHA, a 501(C)3 organization. "We will have some interesting items that have been donated so that participants may try to win a unique antique, local art, craft or book as part of the activities." General admission for the fair is a suggested $3 for adults with discounts for children. SDMHA members as always are free. SDMHA President Steve Smith said, "We had a great year in 2018 with an increase in activities and a good following at the Good Old Days Museum which is our focus nine months out of the year. But just because it's winter doesn't mean we get much rest. We are busy gearing up for the History Fair which helps us develop themes and displays for 2019. "It takes many individuals to create this large event and SDMHA wants to acknowledge the assistance given by the students who help setup, the school for hosting the event and the County's support.We are very pleased with the continued interest shown in our local history. The local history museum is run by the SDMHA board with the help of dedicated members who volunteer on weekends. Museum staff are usually on hand to help with geneology questions or to look up family histories. Along with educational classes and outdoor events like Pioneer Day, plus our booklet on the Big Soddy Gulf, the Good Old Days books Volumes 1-4, and other efforts to engage the public such as making ice cream or giving demonstrations, SDMHA continues to reach out to thousands every year. "Our aim is to share the local history of this area on everything from early settlers, to the Civil War, to coal mining to Daisy's pottery mills, and generally, about life in a small mountain town and events that have occurred over past two centuries. SDMHA wrapped up the 2018 season this past December, but will reopen in April with new displays after the museum is updated and made ready for 2019. The date has not been set yet, but visitors can be assured that there will be interesting events coming up for locals and visitors alike. They are excited to host the January 2019 History Fair and welcome anyone who is interested in this region to come by."